Alf Crossman is a Teaching Fellow in the School of Business, Management and Economics, a post he has held since 8th February 2016. Prior to this he was a Senior/Lecturer Teaching Fellow in School of Management at the University of Surrey. Previously he was a Senior Lecturer in Industrial Relations at Thames Valley University. 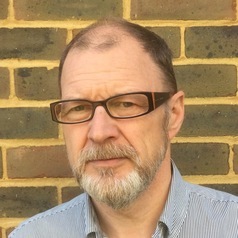 Alf holds a Postgraduate Diploma in Personnel Management from Thames Valley University, an MA in Industrial Relations from Brunel University and PhD from the University of Surrey which was based on research into the relationship between authoritarian management and the psychological contract. Alf is an alumnus of the International Teachers Programme, which he studied at the Stockholm School of Economics. He is a Fellow of the Higher Education Academy, the Chartered Institute of Persinel and Development, and of the Royal Society of Arts. Alf's industrial experience is primarily from the hospitality sector, although he also spent three and a half years in the Royal Navy, the experience of which later proved invaluable for his industrial relations teaching. Prior to entering a career in higher education Alf Crossman held a number of senior HR posts in the hotel sector in London and throughout the UK. He is an experienced HR consultant and has assisted a number of internationally renowned companies, such as Boeing and General Motors. He has also been an advisor to the Ministers of Labour in Barbados and Mauritius. In recent years he has been a visiting lecturer in Industrial Relations at the Royal Military College of Science, Cranfield University and an associate lecturer in Industrial Relations and HRM at Brunel University. Alf Crossman is currently a visiting Professor at the Moscow International Business School – MIRBIS, a member of faculty at TIAS School for Business and Society and Eindhoven University of Technology, and a visiting Professor at Linkoping University in Sweden. To keep fit, Alf participates in cross-country running and road cycling he has also tried gliding, microlighting and paragliding. He also enjoys the arts; opera and ballet, and collects 18th and 19th century Russian religious icons.